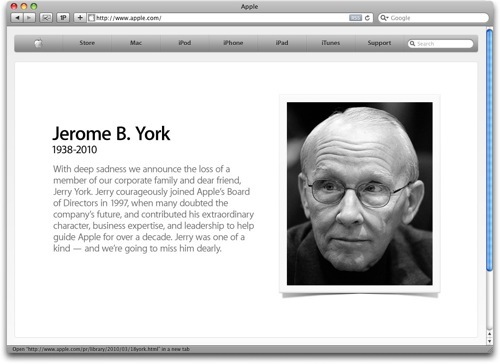 One thing I’ve always liked about Apple is that when they decide to pay tribute, they don’t mess around with a photo and a blurb tucked away in the corner of their website. They wipe their home page clean and do it right. RIP Mr. York.